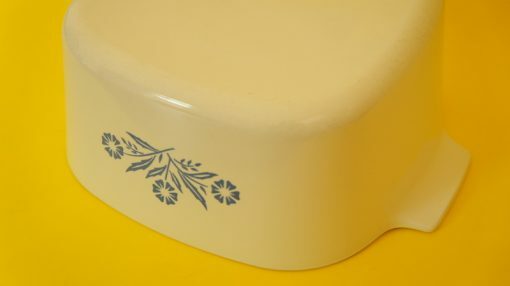 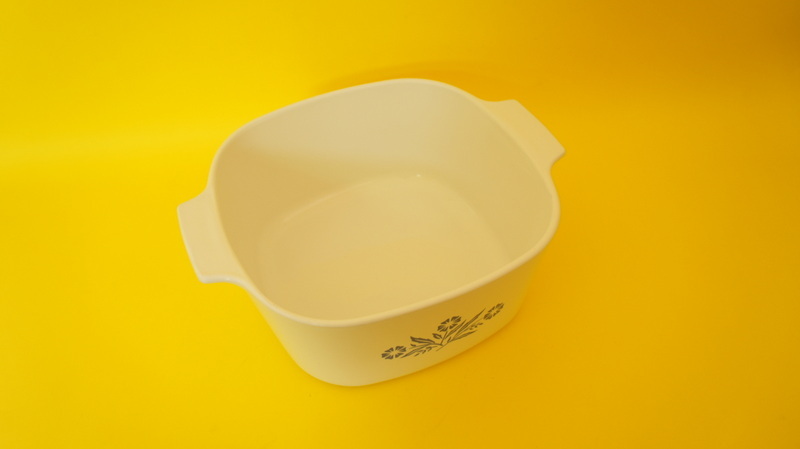 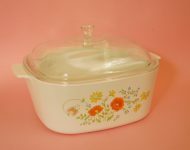 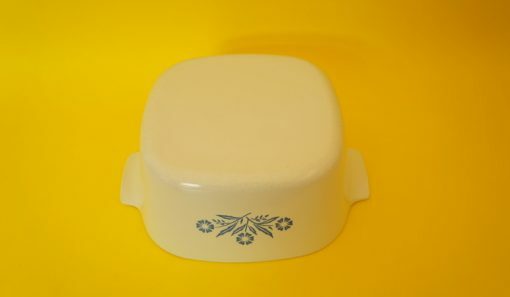 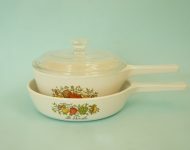 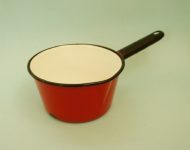 What can I say about Corning Ware that I haven’t said before? We’ve had loads of Corning on Mint over the years, but people never seem to tire of it, I suppose because it’s such great quality cookware! 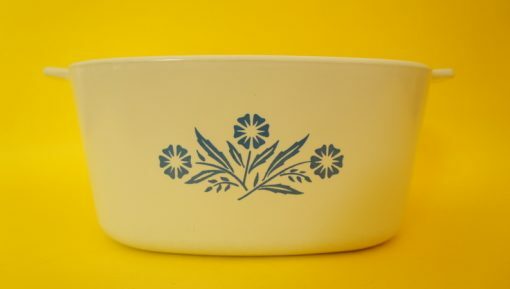 This Cornflower Blue pattern is far and away Corning’s most famous pattern. 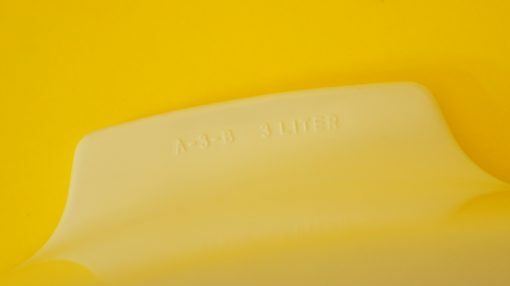 First manufactured between the years 1958 and 1988 (that’s a long run! 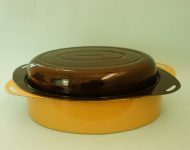 ), the iconic pattern was brought back again in 1993 for a short run. 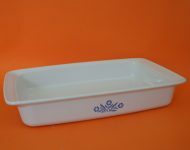 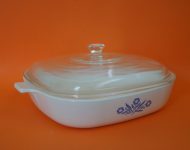 I’m not sure when exactly this three litre oven dish days from, but it’s definitely not one of the modern pieces. 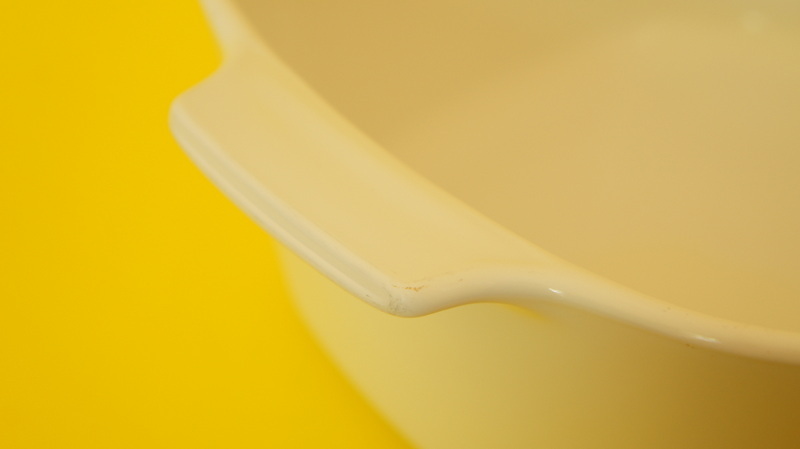 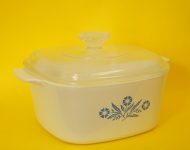 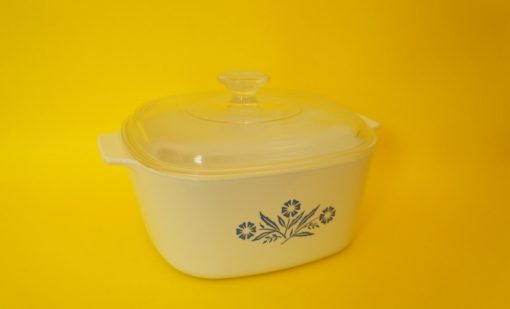 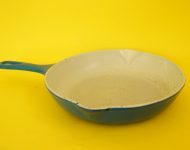 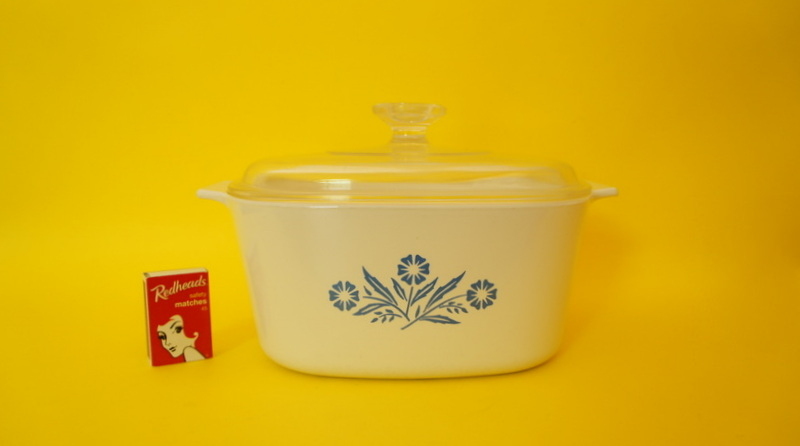 There are a few scuff marks here and there, most noticeably on the underside of the dish, but it’s overall condition is good, and importantly it still has its pyrex lid. 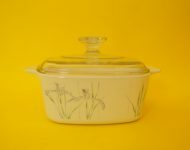 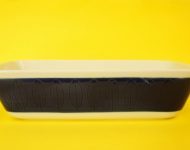 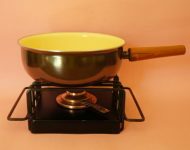 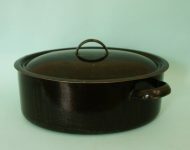 It’s also a really nice size – not so big that you’ll only use it when you’re entertaining, but large enough for feeding a family.